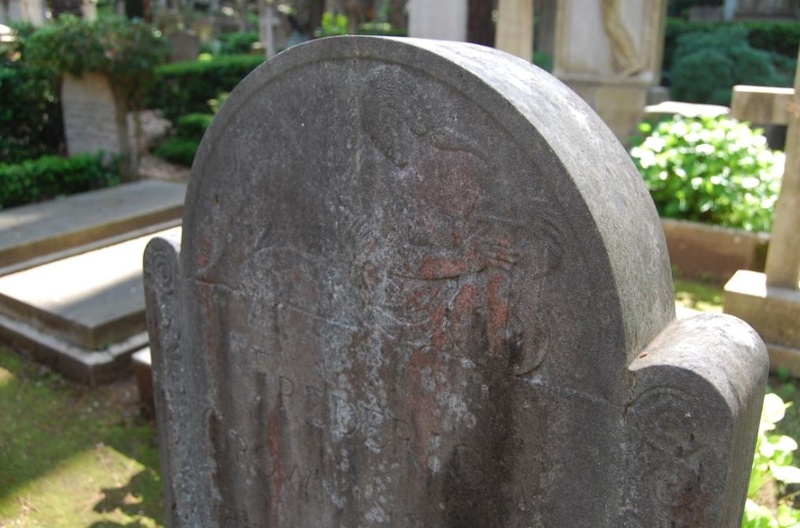 “‘In this world nothing can be said to be certain, except death and taxes”, once wrote Benjamin Franklin. 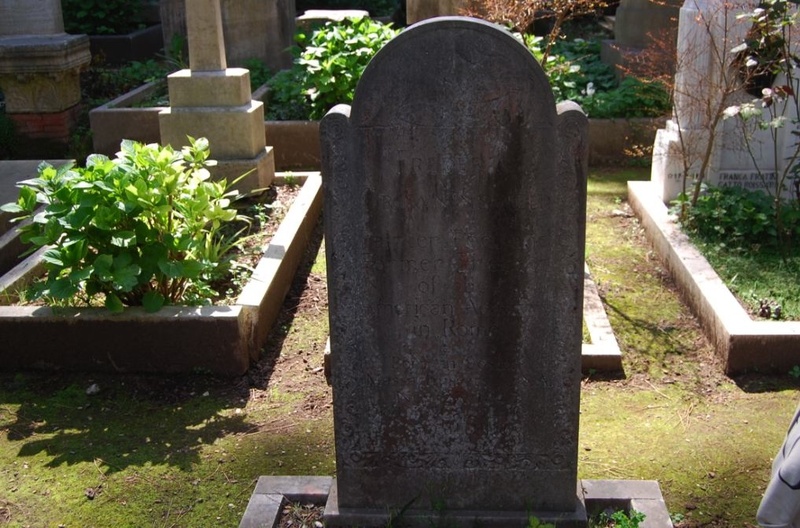 On the morning of Thursday 15 April, having already submitted tax returns to the US Internal Revenue Service, a group from the American Academy rounded out the equation by meditating on death. 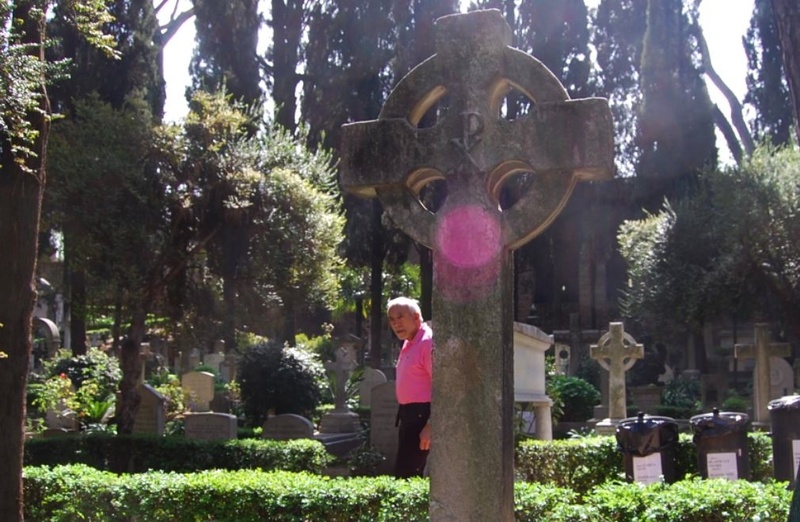 The venue could hardly be bettered—one of the most historic and heartachingly beautiful burial grounds in the world, Rome’s Cimitero acattolico. 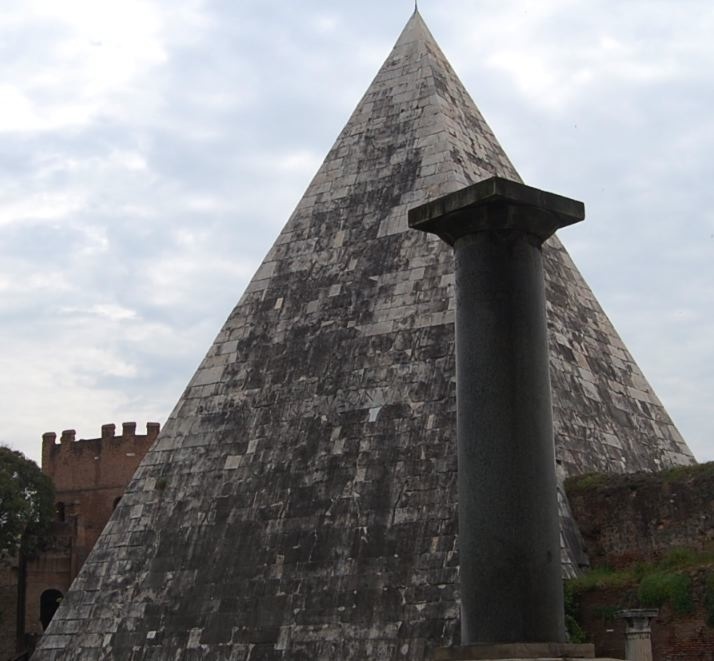 The Non-Catholic (or, popularly, “Protestant”) Cemetery is located near Porta San Paolo alongside the Augustan-era Pyramid of Cestius and a section of the Aurelian Wall. 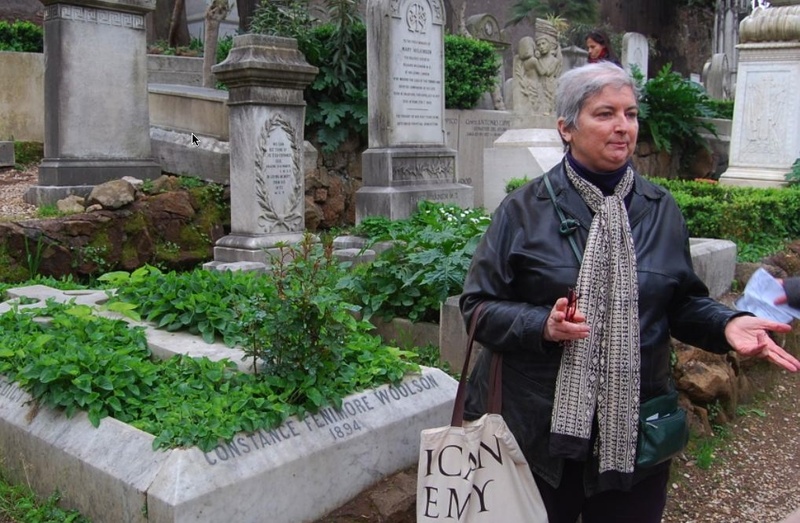 Buried there are Keats, Shelley, Antonio Gramsci, and literally hundreds of other notables. 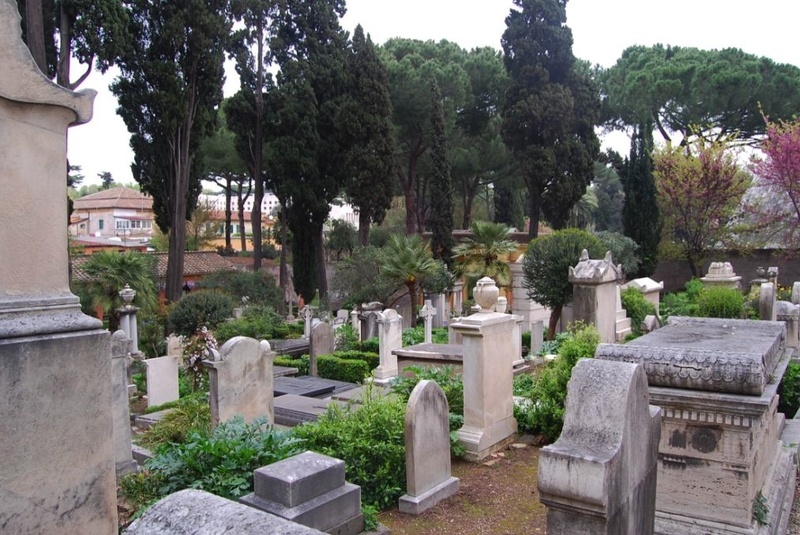 A full database to the Cemetery can be found here. Leading the group that morning was Christina Huemer, Drue Heinz Librarian Emerita of the AAR, who developed an expert’s knowledge of the site in her decade and a half (1992-2007) at the Academy. 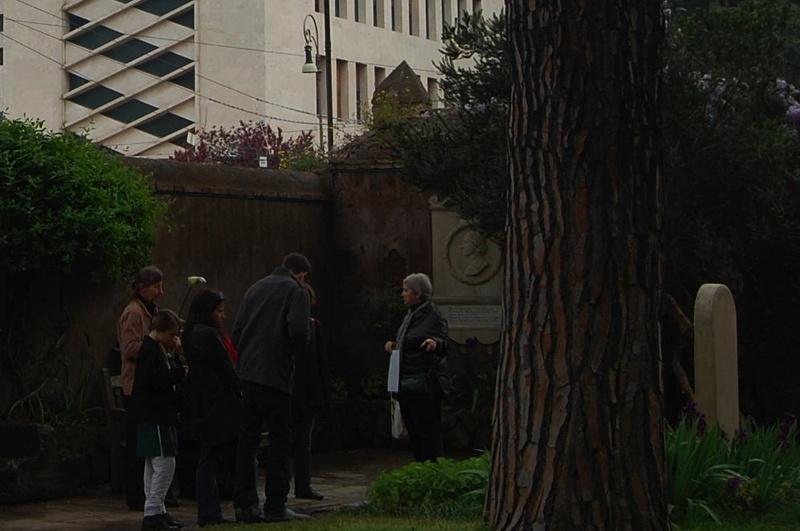 On the walk Chris Huemer took care to point out the numerous individuals with a connection to the American Academy in Rome buried in the Cemetery—some of whom already had come to life in Huemer’s memorable 2005 exhibition “Spellbound by Rome”, that treated the city’s Anglo-American community in the years 1890-1914. One member of Huemer’s tour was Jessica Helfand, who with her husband William Drenttel are current Henry Wolf Residents in Graphic Design at the AAR. 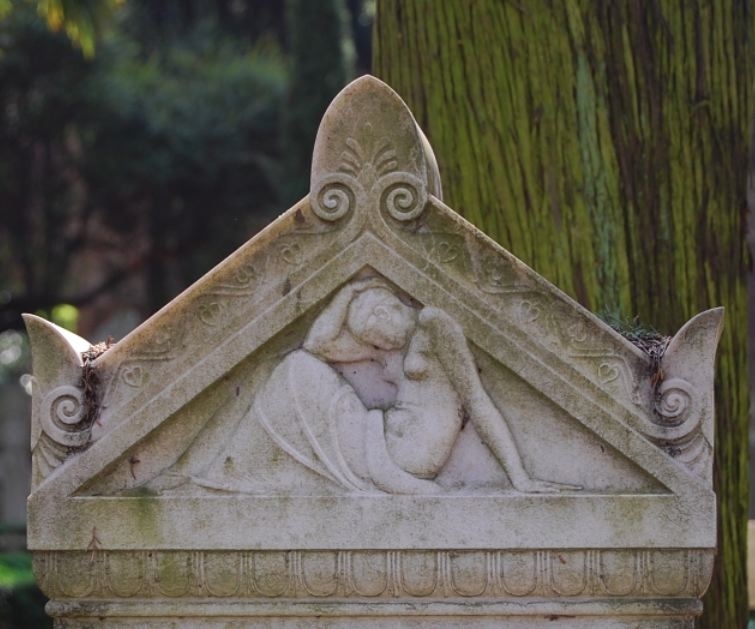 Helfand has since posted an eloquent illustrated general appreciation of the Cemetery that April morning on her award-winning blog, the Design Observer, that she co-edits with Drenntel. 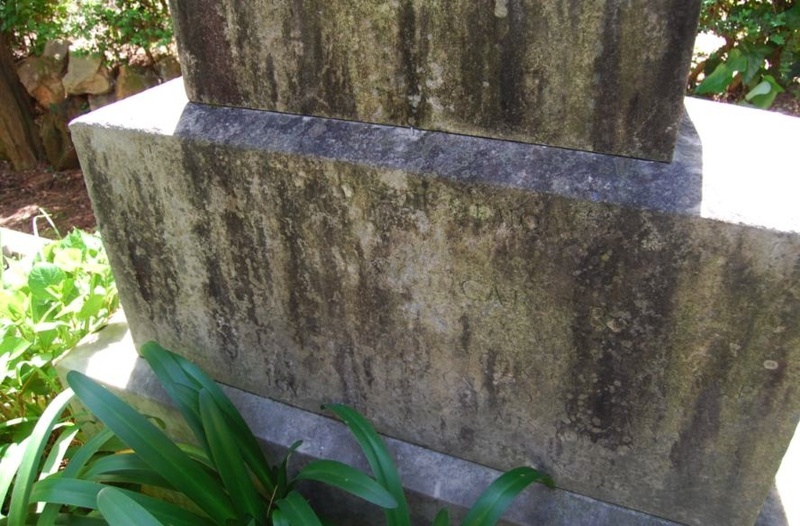 Below you can find glimpses of thirteen memorials to the most important figures specifically in the history of the American Academy, all now reunited in the Non-Catholic Cemetery. 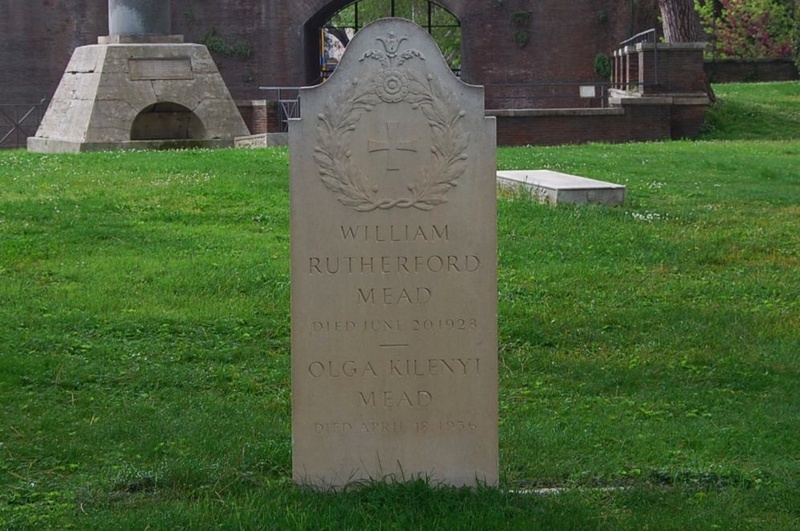 WILLIAM RUTHERFORD MEAD (1846-1928), architect (McKim, Mead & White). AAR Charter Member. AAR Trustee 1905-1928, President 1910-1928. ALBERT WILLIAM VAN BUREN (1878-1968) FASCSR (= Fellow of the American School of Classical Studies in Rome) 1906. Then ASCSR Librarian 1908-1913, Lecturer 1908-11. 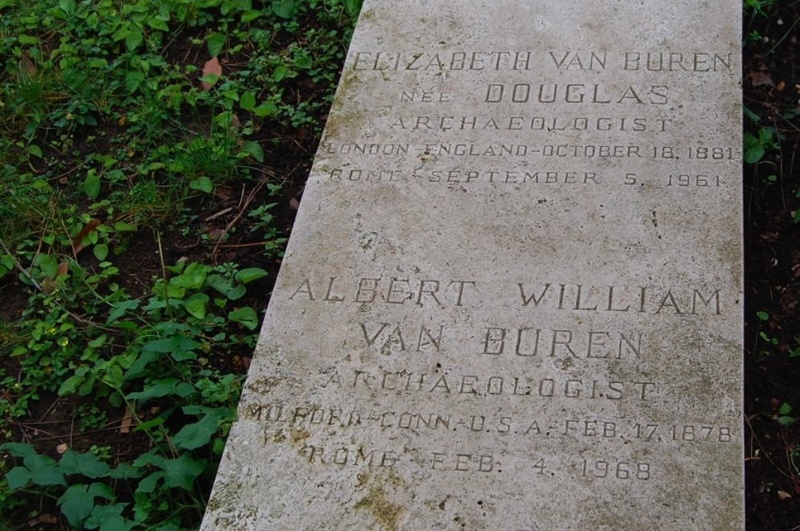 Following the merger of the AAR and ASCSR, served as AAR Librarian 1913-1926, as Associate Professor of Archaeology 1911-1923, Professor 1923-1946, Curator of the AAR Museum 1926-1946, also Juridicial Custodian of Library during WW II. Received AAR Gold Medal 1962. FRANK PERLEY FAIRBANKS (1875-1939) FAAR 1912 in Painting. Then, in the AAR School of Fine Arts, Professor 1919, and Director 1922-32. Also AAR Alumni Association, President 1926. He painted a good number of the portraits of Fellows now collected in the Academy Bar. 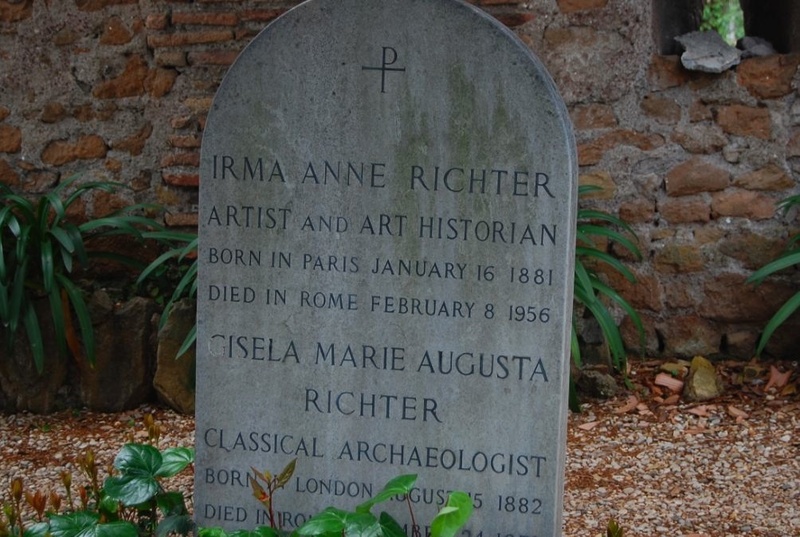 GISELA MARIE AUGUSTA RICHTER (1882-1972), archaeologist. AAR Jerome Lecturer 1952-53; Medal for Outstanding Service to the AAR 1964. 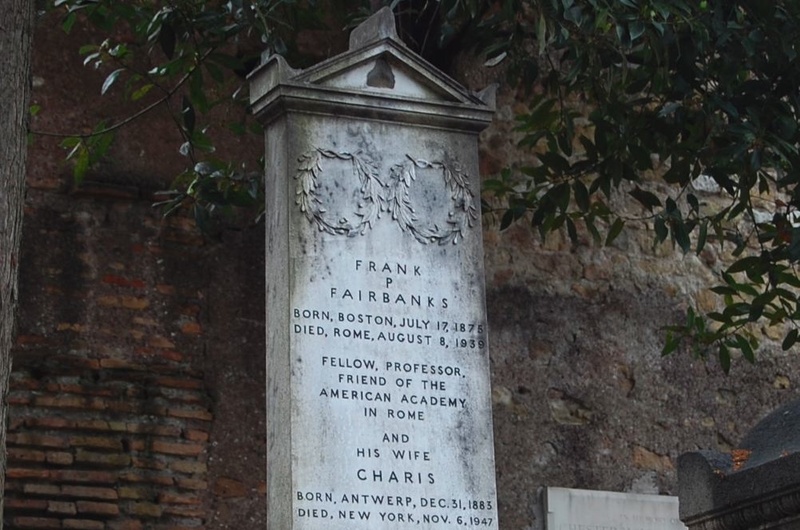 Bequeathed her apartment in Rome to the Academy. CHESTER HOLMES ALDRICH (1871-1940), architect. AAR Trustee 1925-35, Director 1935-40. Wall plaque only. SAMUEL A. B. ABBOTT (1846-1931), lawyer and businessman. 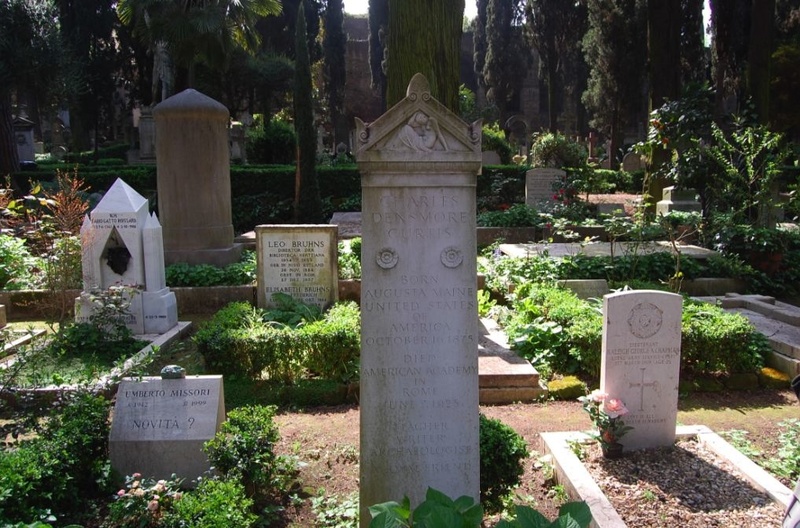 American School of Architecture in Rome, Director 1897-1903; AAR Charter Member. 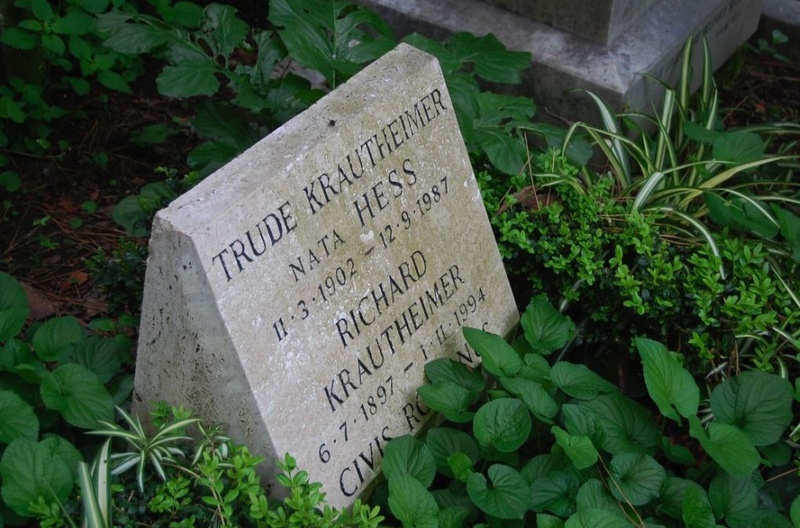 RICHARD KRAUTHEIMER (1897-1994) RAAR 1956 and 1968 in History of Art. FREDERIC CROWNINSHIELD (1845-1918), artist and author. 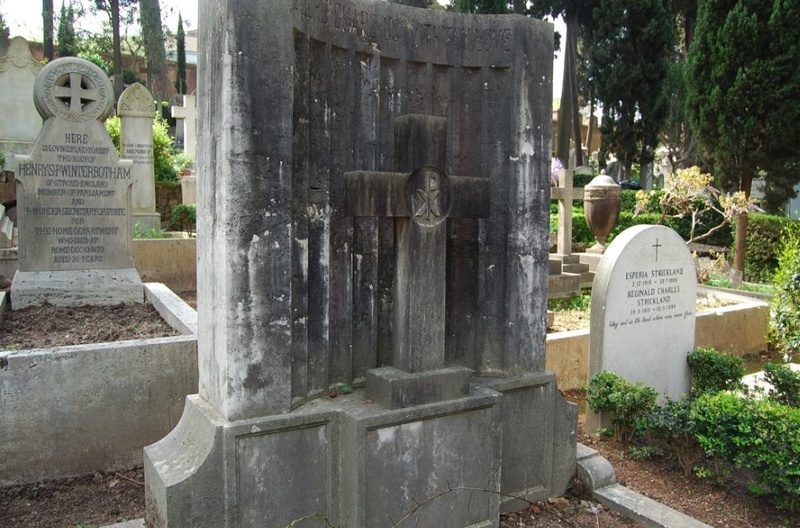 American School of Architecture in Rome, Director 1909-12; AAR Trustee 1912. Relief sculpture (in need of conservation) at top of stone almost certainly by Paul Manship FAAR’12. 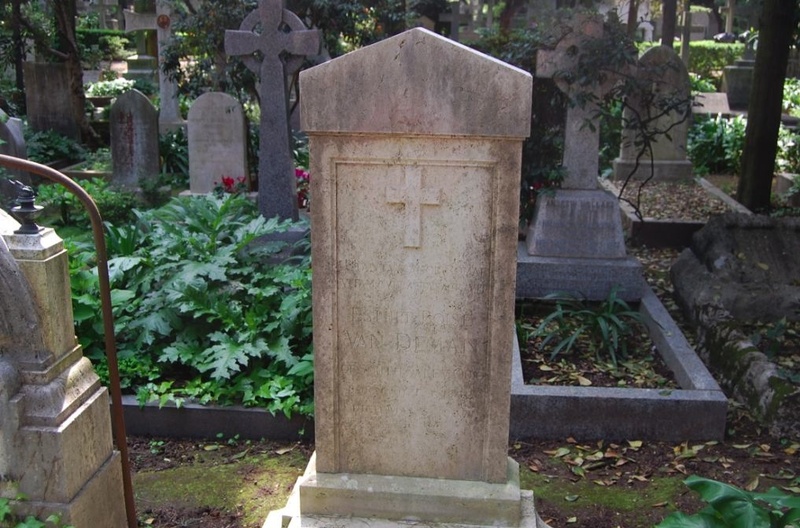 CHARLES DENSMORE CURTIS (1875-1925) FAAR 1915 in Classics/Archaeology. At the AAR, Lecturer through Associate Professor 1915-25; Editor of AAR Publications 1915-1925; AAR Museum, Curator 1915-1925. Relief sculpture by Paul Manship FAAR’12. ESTHER BOISE VAN DEMAN (1862-1937) FASCSR (= Fellow of the American School of Classical Studies in Rome) 1909. Also student, ASCSR 1901-1903. JESSE BENEDICT CARTER (1872-1917), classicist. American School of Classical Studies in Rome, Director 1907-1913. 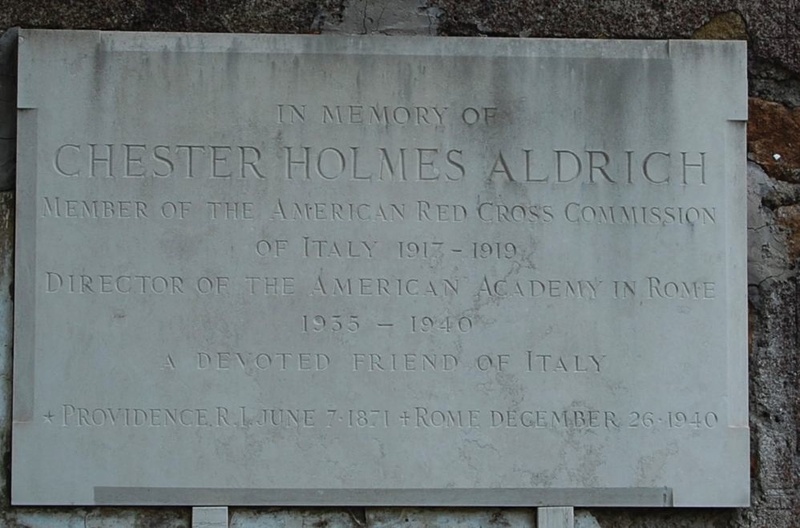 Then AAR Director 1913-1917, until his death when he was serving the American Red Cross on the Italian front. His widow gave the AAR library his working library of 1,050 classical volumes. 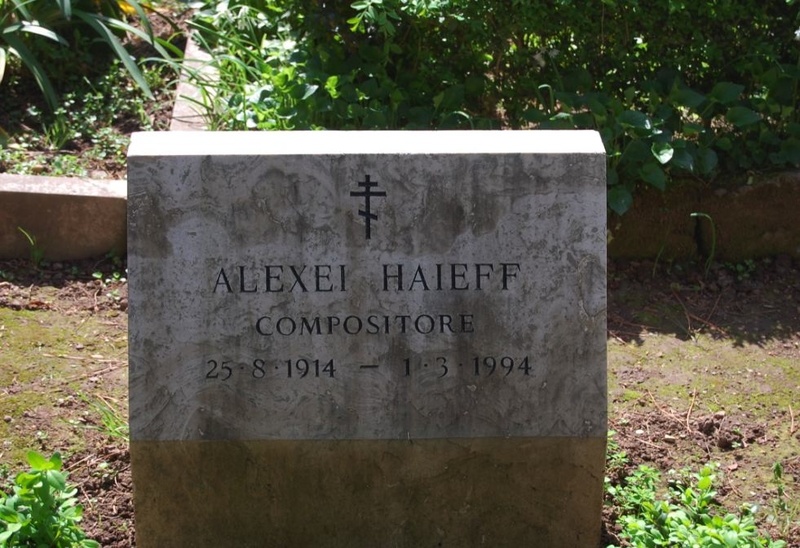 ALEXEI HAIEFF (1914-1994) FAAR 1949, RAAR 1953, 1958 in Musical Composition. 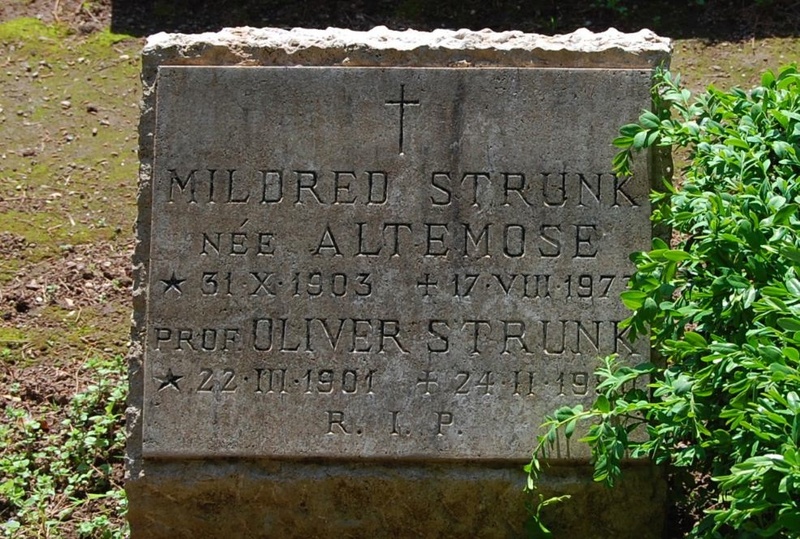 OLIVER STRUNK (1901-1980), musicologist. AAR Visitor 1943-1951. He donated his private library of ca. 950 volumes to the Academy in 1974. Many warm thanks to Christina Huemer (above). Biographical notices adapted from Benjamin G. Kohl FAAR’71 (ed. ), The Centennial Directory of the American Academy in Rome (1995). This entry was posted on April 20, 2010 at 11:07 pm and is filed under Uncategorized. You can follow any responses to this entry through the RSS 2.0 feed. You can leave a response, or trackback from your own site.